Activision, the mega-publisher behind Call Of Duty, is reviving the Sierra Games name and King’s Quest, Sierra’s signature adventure game series, along with it. The new King’s Quest, due out in 2015, is in development at The Odd Gentlemen, a studio known for its time-bending puzzle game The Misadventures Of P.B. Winterbottom and its recent collaboration with Neil Gaiman, Wayward Manor. 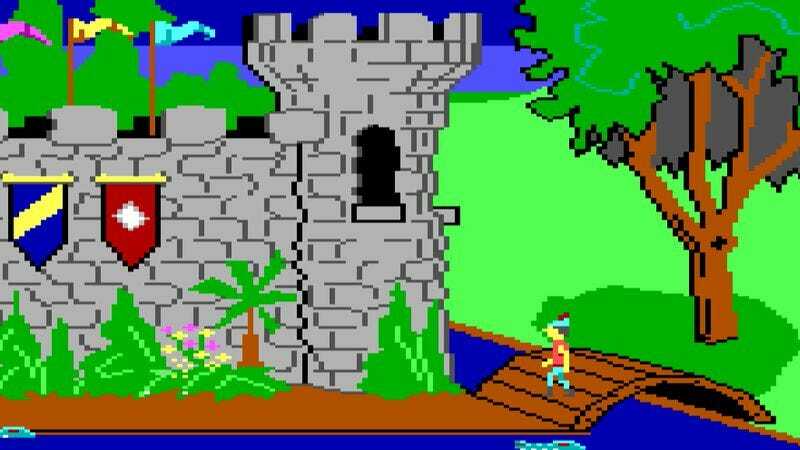 The Odd Gentlemen’s turn marks the fourth attempt to make a ninth King’s Quest game. Sierra, which was owned by Vivendi at the time, canceled theirs in 2002. Later, both Silicon Knights (of Eternal Darkness and getting-sued-into-oblivion-by-Epic Games fame) and Telltale (of The Walking Dead fame) would both fail to get the game off the ground. Assuming this new King’s Quest comes to fruition, it’ll be the first in the series since 1998’s Mask Of Eternity. Activision’s partnership with an outside studio for this King’s Quest resurrection is emblematic of the plan for the Sierra Games brand going forward. The company will be using it as a specialty label, slapping it on games they’ve signed from smaller development houses and anything related to Sierra’s catalog of classic games, which includes the likes of Space Quest, Leisure Suit Larry, and Quest For Glory. The only other game announced so far is Geometry Wars 3: Dimensions, a continuation of Activision’s acclaimed series of shape-blasting shoot’em ups. That one is due out this year and is in development at Lucid Games—a studio founded by developers from Bizarre Creations, the creators of Geometry Wars.